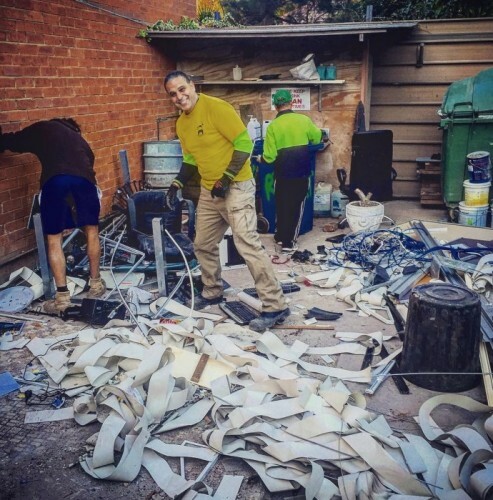 Are you looking for a Commercial Rubbish Removal in Sydney? Today, a lot of business establishments and commercial areas in Sydney seek to reduce waste and the cost of waste management but at the same time get removal service from a reliable company. You have come to the right place. Rubbish Taxi provides the best commercial rubbish removal service in the area. Our commercial rubbish solution only provides innovative, environment friendly and efficient solutions that will suit your needs. With more than 5 years of experience in the removal service industry, Rubbish Taxi is the right partner for your rubbish removal needs. We can remove your waste efficiently in no time. We provide fast and legislatively compliant service. Our company makes sure that we meet Australian standards of safety and cleanliness in all commercial areas we clean. If it’s not listed above, you can always talk to us. We will make sure that your commercial area will be spotless in no time. We can clean any surface and any corner of your area. We are the hardest working removal team in Sydney. We give onsite free quotation. Our full service is quick and efficient. All your trash is hand loaded. On top of all these, we offer a competitive price for all our services. Our crew is dedicated and reliable. We always come to your place on time. We work 7 days a week and we make sure that all your commercial rubbish will be gone before you know it.